What makes a brownie a brownie? A deep chewy fudginess that is denser than a cake, but not quite a cookie? Today's Double Nut Brownies from Zing Bars (Seattle, WA) embodied some of these characteristics. 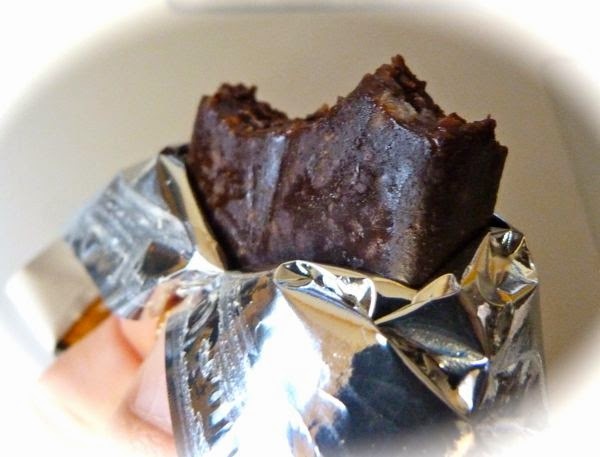 The creators behind this vegan, gluten-free*, soy free and Non-GMO brownie nut bar (finely ground almonds and walnuts) also incorporated some extra protein (rice, pea) and Vitamin E.
The chewiness and sweetness levels were just about right for me; that is, the bar was not too dry or crumbly, and not too sweet. Today was Day #2 of Chocolate and Brownie Theme Week. 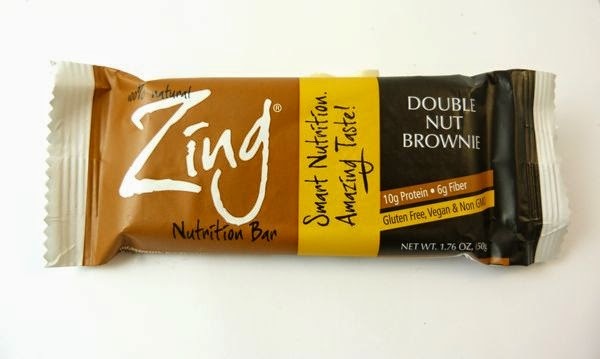 *Zing bars are made in a certified gluten free facility.